Here comes tomato season! 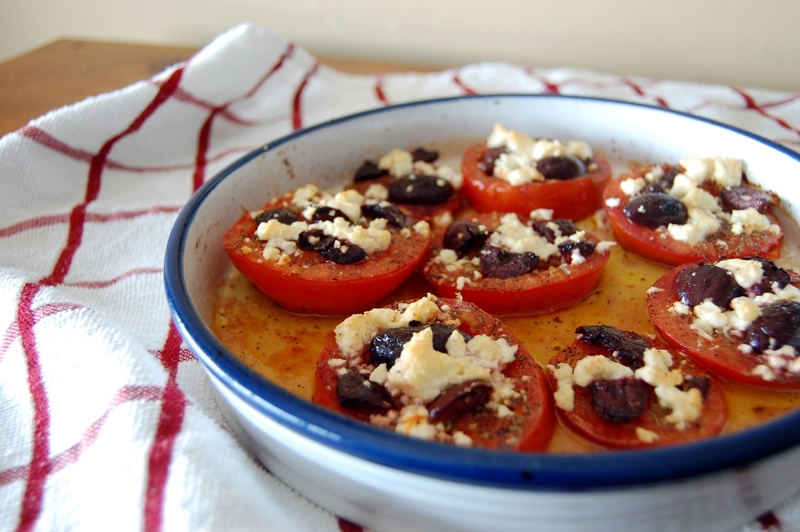 If I were to post my most frequently consumed tomato recipe here, the instructions would be one line: “eat it like an apple.” Since that’s not very riveting and I think perhaps you expect more from me, I’ve posted these Feta and Kalamata Olive Baked Tomatoes. I was cruising Pinterest ages ago and found a recipe for Baked Parmesan Tomatoes posted on Delish. Not only did I instantly fall in love (see above statement re: constant tomato consumption), but I had a flood of ideas for customization. This recipe is so quick and easy, it’s bound to become a summer side dish staple. 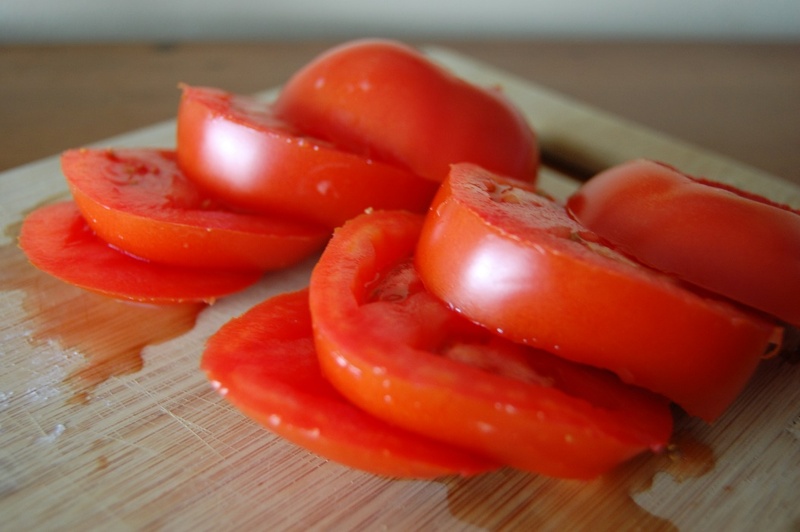 It’s best to pick large, slightly sturdier tomatoes here and slice them thick. If they are too ripe or you slice them too thin, they will fall apart. Which brings me to my next point: How do you fix a broken tomato? With tomato paste, obviously. No but seriously, sturdy tomatoes. The parmesan recipe calls for a baking sheet, but I prefer a pretty, oven-safe dish that can go straight from the heat to your table. It means less to clean up and (in case you’ve forgotten my name) I am lazy. If you don’t like olives, you can easily omit them. Like i said, this recipe is customizable beyond belief. 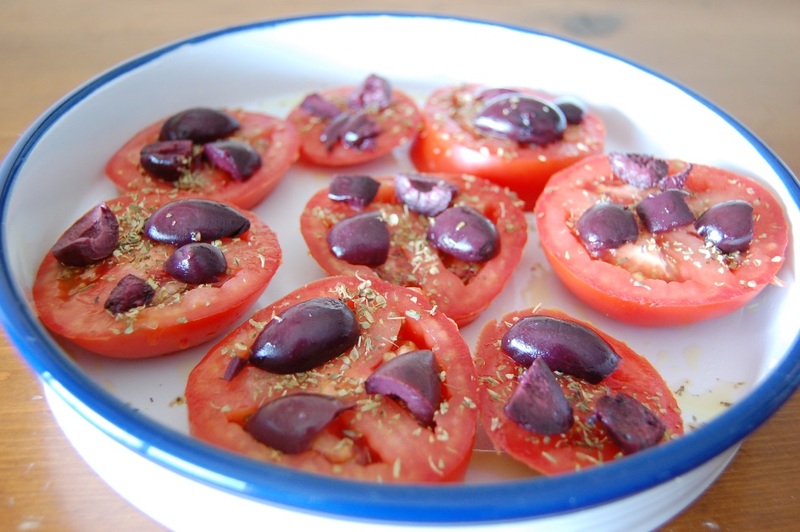 I think salty kalamatas and tomatoes are a match made it heaven, but if you disagree we can still be friends. Out of the oven, the feta is slightly toasted on the outside and melty soft on the inside – perfectly perched on top of tender, juicy baked tomatoes. Go on, enjoy a slice of summer. By the way, I am still using TuitionBites – this month I’m offering 10% off Starbucks gift cards. Have a gander if you’re the coffee-drinking type. 1. 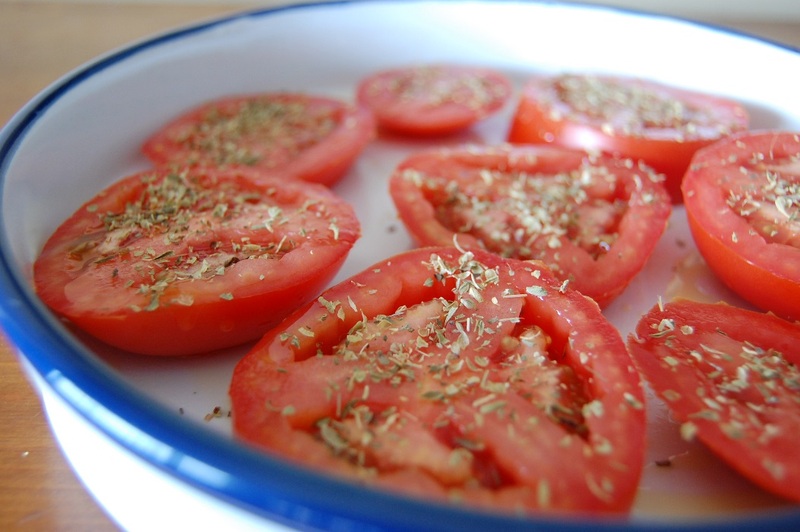 Preheat oven to 450 degrees F. Lay slices of tomato in baking dish. Season with salt and pepper to taste. Sprinkle evenly with dried oregano or chopped fresh oregano. 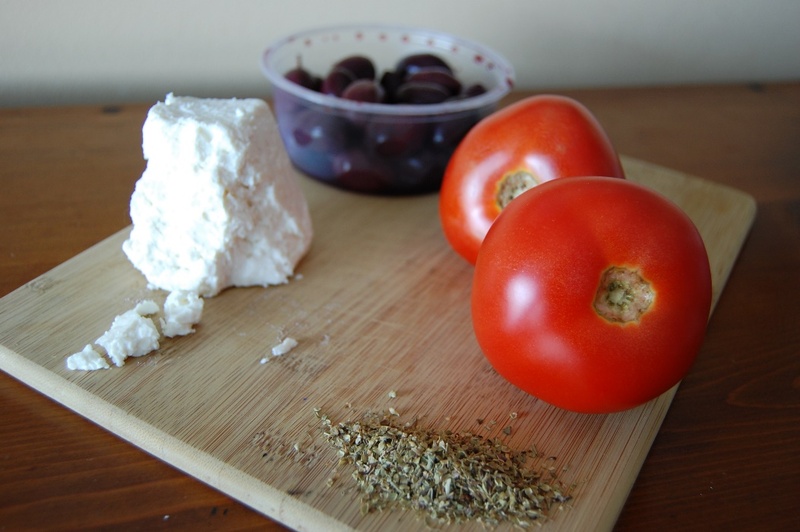 Add chopped kalamata olives and feta to each tomato slice. Drizzle lightly with olive oil. 2. 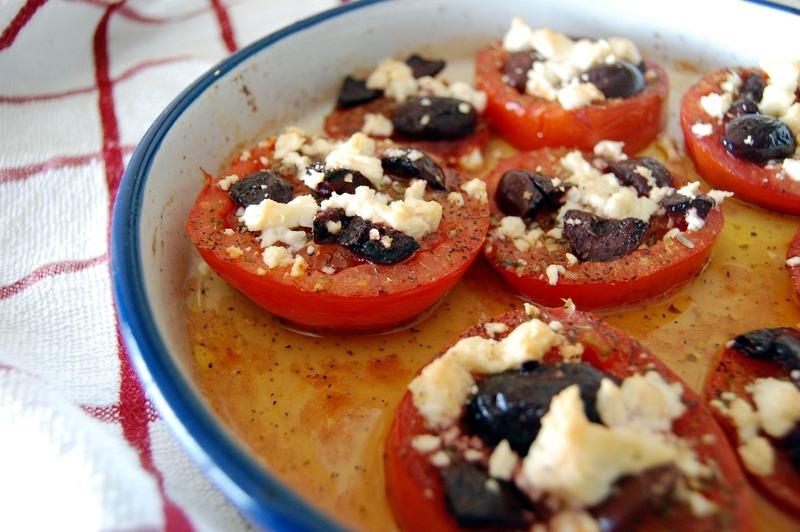 Bake for 15 – 20 minutes until tomatoes are tender and feta has browned slightly at the edges. Serve immediately. This entry was posted in Appetizers, Side Dish, Vegetarian and tagged Cooking, Easy, Food, Food Photography, Photography, Recipe, Side Dish, Simple by Lazy Suzan. Bookmark the permalink. The perfect side dish!! I will be making these for sure! I’ll definitely be making these, Susan, once local tomatoes are available. Yes, do!! I am tomato-obsessed. Hello there:) nice recipe..thanks to you for your visit on my blog. have a great day. Eating a tomato like an apple is what I like best too 😉 but this looks and seems really delicious! Look’s Amazing. I have to try this! That looks great! Love tomatoes. Love kalamatas. Love feta. How can that possibly not be awesome!